Make your garden feel like home with our range of wooden garden swings! 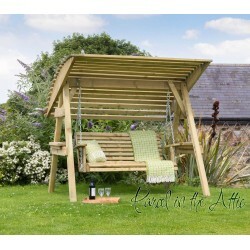 Available with or without canopy it's the perfect place to sit and read on a summer afternoon. Garden Swings There is 1 product.